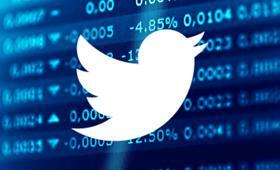 The use of social media within the trading industry is prolific, with an array of different applications. Instant access to news and opinion drives traders to outlets like Twitter as we push to know as much information about our products as possible—and know it before it hits the traditional news venues. The fact of the matter is that news flows through Twitter faster than network television. Viewership of broadcast outlets like CNBC continues to diminish, while online social outlets like Twitter are adding to their participation base every day. This is due to both the timeliness of the news as well as the trust levels earned among traders within communities of Twitter and the Twitter derivative, StockTwits. This trust is reminiscent of the trust among traders in the pits from where many of us began. Trust developed through years of sharing the same space and relying on others to know their word is their bond and your trade with them will stand. Demand for social content and communication grows as traders by their nature tend to be gregarious. Loud, boisterous individuals who a decade ago stood side by side for hours on end using idle chat and simple games like Liar’s Poker to pass the day when markets were not moving. Moving behind screens hasn’t taken away the innate desire for camaraderie and a social release. Open services like Twitter are, of course, vulnerable to misinformation, and events like a Twitter-induced flash crash may be the unfortunate result. The reality, however, is these events draw more users into the medium than chase them out, with active monthly users of Twitter increasing by 9 million users during Q4 2013. The use of social media is not limited to proprietary traders, as sell-side brokers and buy-side execution desks share in their thirst for more communication. This has led to problems, with banks like Barclays and Citigroup, among others, recently banning employees from the use of social media and chat rooms following the Libor interbank lending rate scandal of last year. At the same time, vendors are looking for ways to tap into this vein, as the amount of legitimate order flow that passes through chat networks is startling. Submitting orders to a broker through a chat mechanism is certainly less error-prone than phone calls, which can easily lead to translation errors and misunderstanding. This practice has become so pervasive that some brokerage desks have individuals assigned to do little more than man their chat network to field incoming orders and relay fills. TT offers safer solutions for relaying orders, like Order Staging and Saved Orders, while we continue to monitor the regulatory outcome of recent actions taken by leading banks regarding the use of chat networks. Social media is more than a means of chatting with peers and pushing your corporate or personal brand. Platforms like Twitter are similar to a Massive Open Online Course (MOOC) with a giant virtual playground. The informality of the the messaging medium adds huge value for product managers, as the immediacy of feedback is welcome. On a recent morning, I maintained open conversations with a fixed income trader in the U.K, a foreign exchange trader in Texas and an energy trader in California. One is a current X_TRADER® user, another does not use our software, while the third was interested in the software and contacted me to say so. Each of the individuals talked openly about their needs and spoke about the perceived deficiencies in execution software. All of this went on while I was tapping away on my iPhone, riding a train to the office. The informality, ease of use and 140 character limit contribute to making Twitter an ideal platform of communication for people whose work can change in a moment’s notice. It also offers that thin veil of obscurity where participants tend to speak more freely than they may in a face-to-face meeting. Video conferencing avenues like Skype and Google Hangouts are adding live video chats for individuals and groups alike. The certain advantage to the video conference allows participants to share what they say and demonstrate how they go about their trades. From a product manager’s perspective, this is another bonanza. Talking our users as well as our own staff through functionality is a pain-free process when I can quickly start up a video Hangout to show the software on my desktop and graphically walk them through the features. TT has embraced social media, and we are thrilled to see the added value this has delivered. More direct interaction with end users is providing us with the immediate feedback required to keep TT on the leading front of trading software. We encourage you to join us in our circles on Google +, tweet with us at @Trading_Tech and follow us on LinkedIn. Our focus on maintaining direct contact with the trading community runs throughout the company, with product managers like me, @patrickrooney, as well our CEO, Rick Lane (@R1ck_L4n3), monitoring and participating in our online social interactions. We were thankful again for the opportunity to appear on BTFDtv Guarding the Left Hash with J D Leman, a/k/a @LeftHash, once again last month. My associate Brian Haag took the time to demonstrate a trading strategy he designed in Autospreader® and ADL®. The demonstration included insight on how to configure spreads in the enhanced Autospreader configuration window of X_TRADER 7.17. We welcome you to view the entire presentation, BTFDtv Guarding the Left Hash w Trading Technologies TT.